Infrastructure was a great story up to 2011, with maximum projects awarded between 2008 till 2011. Since then our country has seen multiple controversies starting with allocation of spectrum for second generation telecom services to allocation of coal mines. Activism by Judiciary led to near stoppage of decision making by the ruling class, government and bureaucrats. So with the new regime at the centre, which has won strong mandate over development agenda, there is a positive change in sentiments & outlook. And the government seems determined to take things forward be it land acquisition amendments, labor reforms, clearing dues or taking on projects by NHAI, auctioning of coal blocks and so on. However, according to the panelist there is no change on the ground and it may take some time. There are no new projects or investment proposals in the infrastructure sector. Proposals are only for restructuring or re-financing projects. One big change is that the promoters, like those engaged primarily in EPC (Engineering, Procurement & Construction) work, are willing to shed assets. The private sector has very little cash or equity to fund the projects. Hence government may have to step in as a developer and construct the projects. Once into operation for few years it could sell it to private sector for operating & maintaining the asset. 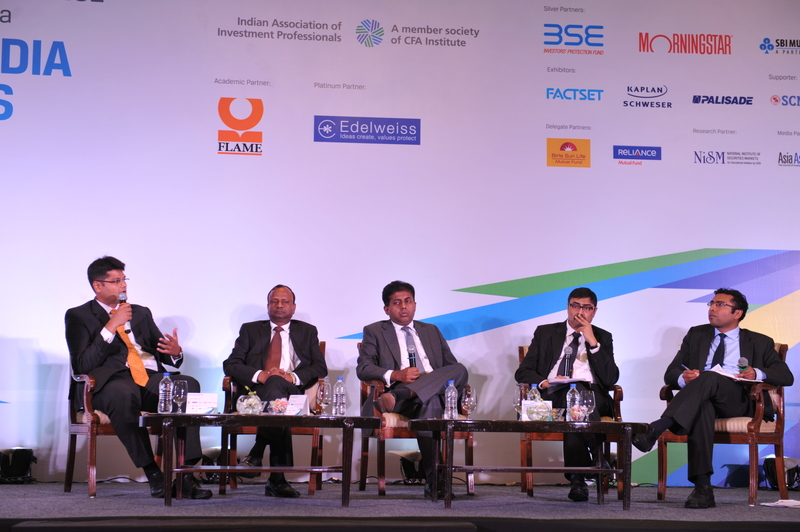 The panelist pointed out the churn (buying or selling of assets) in India is much lower compared to other countries. They felt that regulated ROE with set benchmarks is the preferred way compared to competitive bidding. This means allowing cost pass through for items like fuel cost, which are exogenous factors and difficult to predict or hedge over the life of the projects. India has the potential to tap $200bn from global pension funds and sovereign wealth funds. These funds are looking for new geographies as most of the assets in developed market like Europe are already sold, and the rate of returns are poor in these markets. What’s stopping them from investing? The risk-reward equation is not fully clear. Second, there is no cheap way of hedging currency risk. In the case of infrastructure investment trust (or REITs) issues around taxation, capital gains, stamp duties, pass-through structure needs to be resolved. Sound and viable projects will find takers. Likewise good operating assets could be bunched together and sold off to investors. This entry was posted in Events, India Investment Conference, Mumbai and tagged #FutureFinance, #IIC15, @iaipcfa, Ambit Capital, Ambit Corporate Finance, Apurva Shah, Axis Bank, CFA Institute, Chetan Shah CFA, Deutsche Equities, IAIP, Indian Association of Investment Professionals, Parthasarathi Mukherjee, Rahul Mody, Rajnish Kumar, Religare Invesco AMC, Saurabh Mukherjea CFA, SBI Capital Markets. Bookmark the permalink.